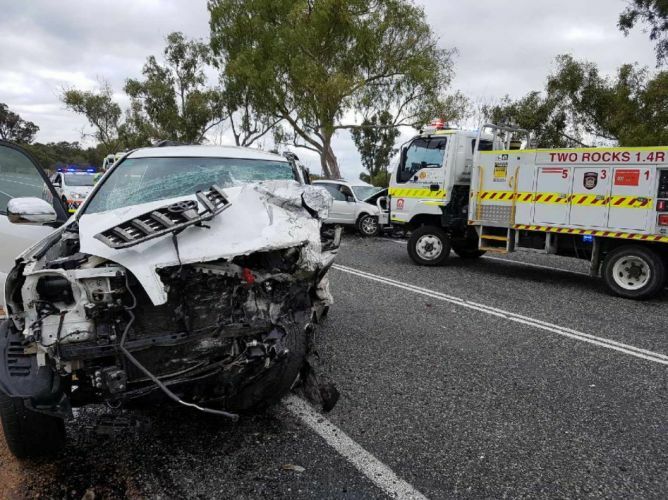 A TEENAGE university student cried in Joondalup Magistrates Court on Friday as a jail sentence loomed over him for causing a car crash – the day after a night of taking drugs – that seriously injured a woman near Yanchep last year. Lachlan Alexander Robert Bassett escaped an immediate jail term but was handed a 12-month term suspended for 15 months, after he pleaded guilty to dangerous driving causing grievous bodily harm under the influence of drugs. The court heard Bassett, who was 18 at the time, had taken ecstasy and Xanax at Ledge Point the night before the crash, which happened about 3.20pm on Indian Ocean Drive when he was heading back alone to Perth on Saturday, August 26. He had smoked cannabis the morning before the incident. The prosecutor said the vehicle Bassett was driving drifted over double white lines and into the path of an oncoming car carrying a man and woman. The court heard the 47-year-old female passenger suffered chest injuries and serious foot damage requiring multiple surgeries that would keep her off work as a teacher for 12 months. Bassett, who was also injured in the crash, underwent a drug test that discovered he had 0.18g of MDA, a substance often found in ecstasy in place of the usual MDMA, in his system and cannabis. His only explanation was that he must have fallen asleep. Bassett’s lawyer said his client accepted the after-effects of the drugs had left him unable to have proper control of a vehicle and that he could have caused a death. Police had stopped him for a random breath test in Lancelin the morning of the day of the crash, which found no alcohol in his system. He had since taken counselling and ceased all drug use. The police prosecutor said it would have been a “terrifying experience” for the victims as well as the accused and his family, who were in court. “He has caused all that himself,” she said. “No one forced him to take the ecstasy. “No one forced him to get behind the wheel and drive. Magistrate Deen Potter acknowledged Bassett’s remorse, but said it was “probably only by virtue of 50-60m” the crash wasn’t directly head-on, which “would have led to fatalities”. He said Bassett was in the “precise cohort” of young people who get the message regularly “delivered home to them” that they cannot behave in such a way. “I accept this has been a traumatic experience for you,” he said.